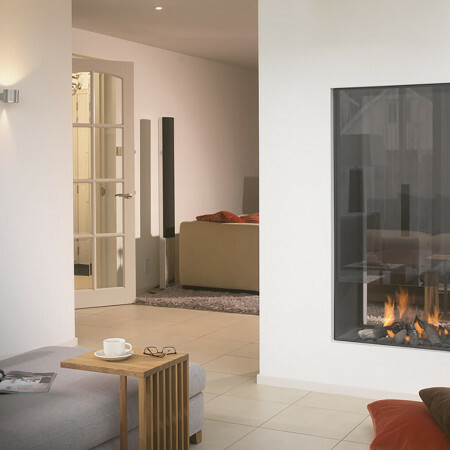 As a double sided, see through fireplace, the 71T offers both beautiful aesthetic and practical design solutions. 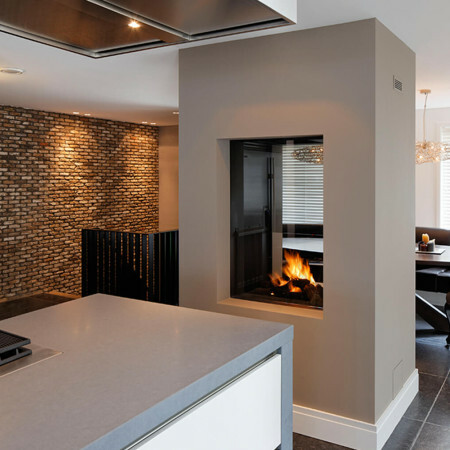 Not only making a stunning design statement, this modern double sided fireplace is cleverly conceived to allow load-bearing supports for the building to be incorporated within its structure. It incorporates glass to maintain visual transparency up to eye height and decorative outer paneling can be finished in a range of colours and finishes. The dark decorative shelf on both sides adds another dimension and feature to this beautiful and functional double sided fireplace design. Upon request this fireplace dimensions can be customised. 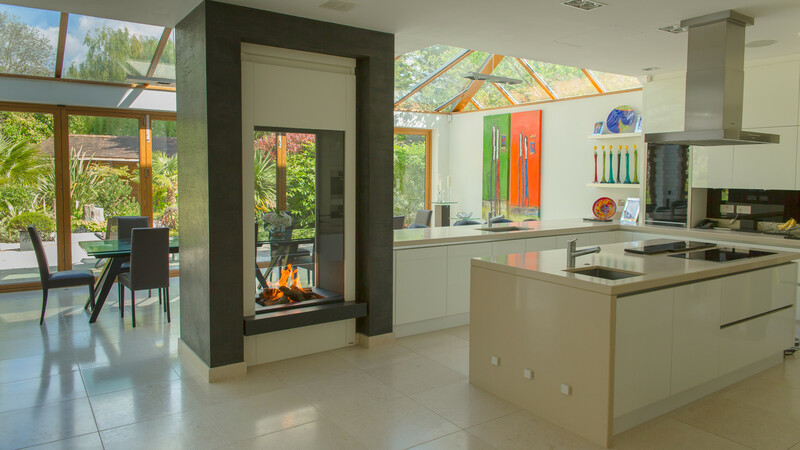 The version shown, between a kitchen and an conservatory extension, whilst allowing you to see through to the other side, creates a natural and cosy focal point between the two areas. Speak to a Design Consultant to see how this design can be incorporated into your project.